. Wainwright CE, Elborn JS, Ramsey BW, et al. 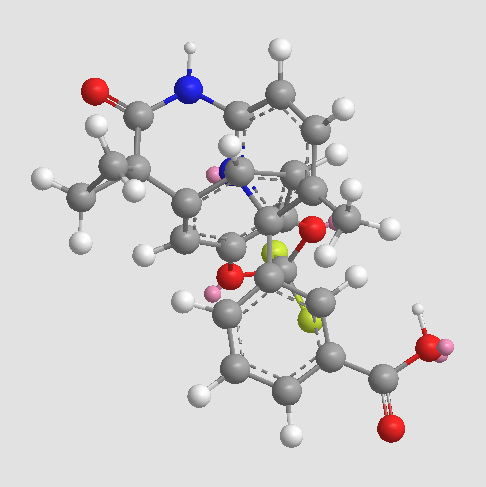 Lumacaftor-Ivacaftor in Patients with Cystic Fibrosis Homozygous for Phe508del CFTR. N Engl J Med. 2015 Jul 16;373(3):220-31. Van Goor F, Hadida S, Grootenhuis PD et al. Correction of the F508del-CFTR protein processing defect in vitro by the investigational drug VX-809. Proc Natl Acad Sci U S A 2011; 108: 18843-18848. Ren HY, Grove DE, De La Rosa O et al. 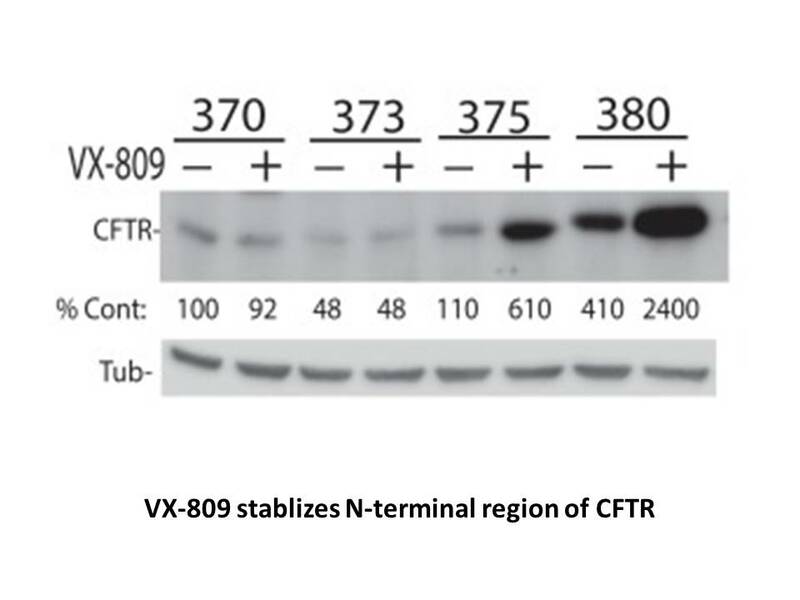 VX-809 corrects folding defects in cystic fibrosis transmembrane conductance regulator protein through action on membrane-spanning domain 1. Mol Biol Cell 2013; 24: 3016-3024. Loo TW, Bartlett MC, Clarke DM. 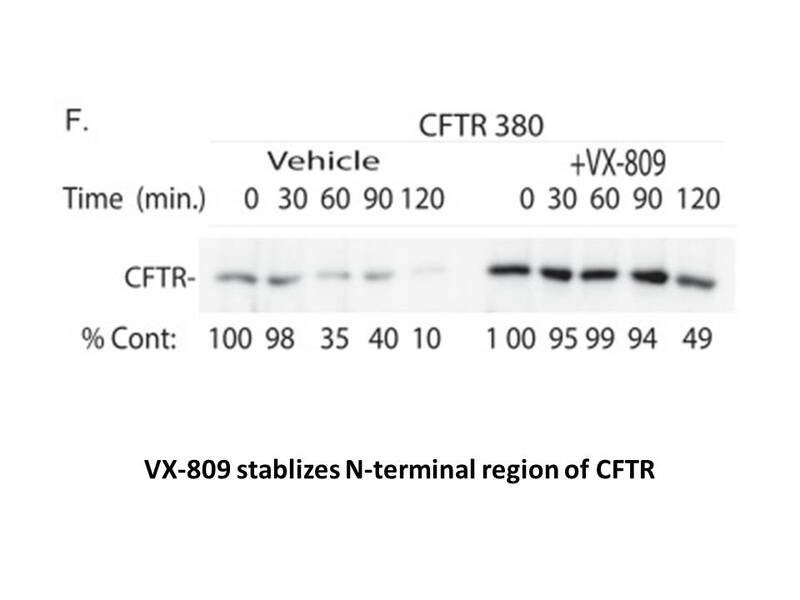 Corrector VX-809 stabilizes the first transmembrane domain of CFTR. 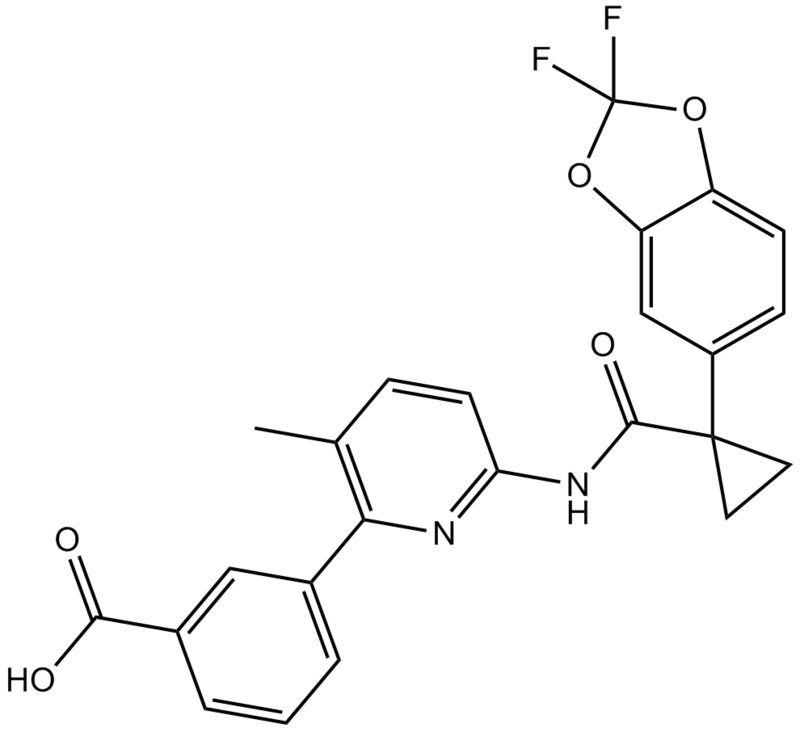 Biochem Pharmacol 2013; 86: 612-619. Clancy JP, Rowe SM, Accurso FJ et al. Results of a phase IIa study of VX-809, an investigational CFTR corrector compound, in subjects with cystic fibrosis homozygous for the F508del-CFTR mutation. Thorax 2012; 67: 12-18.